If you are coming to Pattaya for the nightlife, you’ll want a hotel that is close to the action. The nightlife is happening all over the city, but there are several major hotspots. It’s also a catch 22, you want to be close so it is to get to the bars from your hotel, but you don’t want to be so close that the noise keeps you up when you want to sleep. Thankfully, it is possible to have both. Opinions are going to vary over what is the better entertainment spot, I prefer to be in the LK Metro Area. It gives me access to all the bars on Soi Buakhao and the surrounding streets. Plus it is right in the middle of Pattaya which makes it easy to get down to either Soi 6 or Walking Street if I want. Also, while I like to be near the bars, being close to the malls like the Central Festival and The Avenue is an advantage as well. Whichever you decide, we’ve got a few suggested hotels in each area. All of them are guest friendly. 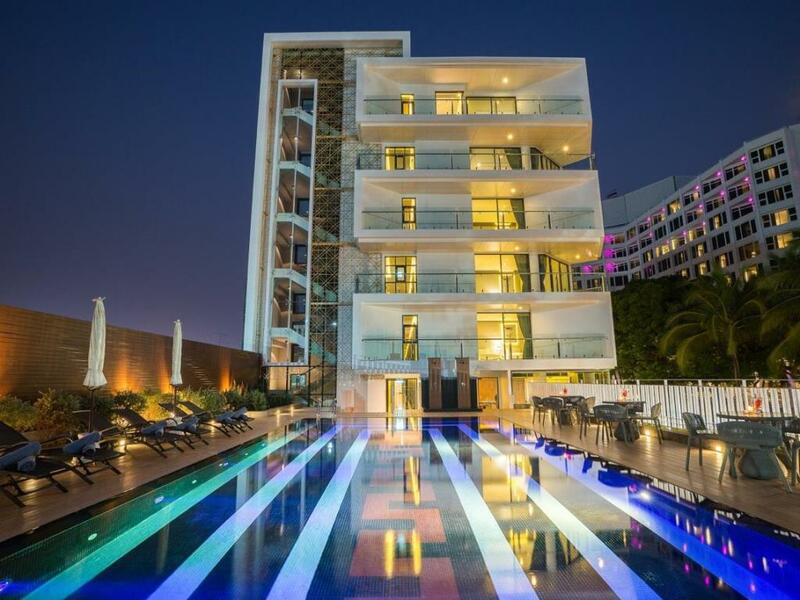 Following are a selection of hotels near the three main nightlife areas of Pattaya: LK Metro, Soi 6, and Walking Street. The LK Metro area has been steadily growing into one of the most popular nightlife areas in Pattaya. It’s not just the go-go bars and beer bars on LK Metro itself, but all the beer bars in the surrounding area make this part of Pattaya one of the best areas to be near. The following hotels are under a 10-minute walk – some much closer. Th party starts early on Soi 6 and is the best place to go for some afternoon fun. If you fancy spending a lot of time in the Soi 6 area you’ll want to check out these hotels. Most are a 5 – 10-minute walk from Soi 6. Walking Street used to be the center of the naughty nightlife in Pattaya. Nowadays it is much a tourist attraction as it is a place for bar girls. The largest and best go-go bars, tons of beer bars, nightclubs, and live music are located here, keeping it a prime destination for a lot of fun seekers. Staying on Walking Street isn’t my idea of fun as I like to get a little sleep and have some peace and quiet. That’s why these hotels are all within 5 – 10-minute stroll from Walking Street. Though for those who don’t plan on sleeping, I’ve included a link to find hotels on Walking Street.